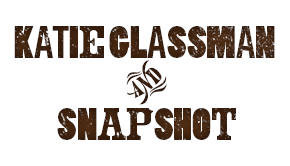 I’m excited, thrilled and inspired to be working with the The SNAPSHOT quartet! These guys are literally my dream band and I am so happy every time we play music together! We have been playing, composing and arranging our new material for the upcoming album (We are going into the studio on Monday)! Eric Moon on piano, oldtime/western accordion and vocal harmonies; Greg Schochet on swing guitar with his rich, vintage tone; and Charlie Mertens slaps away on the bass and sings vocal harmonies; I ofcourse play on fiddle and sing. Anticipating the new recording, we planned a show this Sunday, May 5th, thinking that YOU can be a part of our preparations process. We’ll be performing all kinds of new material with 3 part vocal harmonies, instrumentals, as well as a few of our old standards. I genuinely hope you can come out and join us!